I recently gave my GMAT exam after two months of preparation and scored a low 590 ( Q42, V30 ). My low verbal score ended up in an overall low score. I had given 8 full practice tests which included 2 GMAT prep tests and 6 paid tests from Princeton Review. My score ranged from 660 to 690 in all these tests with a verbal score not going below V38 and also went upto V44 in two tests. I do not understand what went wrong with the verbal section on the actual GMAT exam. I was not even nervous on the exam, not any more than the usual exam anxiety. Please advise on how to proceed as I plan to give another attempt in less than a month. 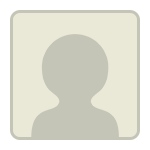 I would definitely advice you to try Egmat course, as they have the best course for Verbal. Give yourself at least 6 weeks before your next attempt. Buy egmats online course and ensure to give quants equal attention as well. Use the tests here to evaluate your progress, not any non-official tests. Also, you need to work on both quant and verbal, as your verbal score is actually better than your quant score. Don't count on an exceptional score like V44 to get you the total score that you want. 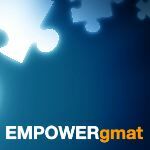 Try Egmat trial or empowergmat trial and you can analyze yourself what went wrong in actual exam. They give free trial for sometime and you can easily analyze the flaws in your prep/approach . Difference between actual exam and mocks is that sometimes we get similar types of questions which we usually practice and this inflate our score/ confidence . I'm glad you reached out, and I'm happy to help. The main question here is why you scored significantly lower on the verbal section on the real GMAT than you did on your most recent practice tests. Since nerves did not seem to be an issue, it's likely that some of your verbal weaknesses were exposed when you took the GMAT. Scoring high on GMAT verbal tends to involve using logic and noticing key details. However, it is possible to get some verbal questions right by looking for patterns that you have already encountered in your preparation. Looking for patterns will not always work though, and if the patterns with which you are familiar don’t show up in the questions that you see on the actual GMAT, your verbal score will not be very high. So, one possible reason for the difference between your verbal scores on practice tests and your verbal score on the real GMAT is that in your preparation, you did not really learn to do what you have to do in order to score high on verbal. Rather, you picked up on some patterns that were effective in getting you relatively high scores on practice tests. To hit your verbal score goal, you probably have to adjust the way that you have been preparing. You have to focus your preparation on developing skills, such as use of logic, that you can use to correctly answer GMAT verbal questions regardless of what verbal tricks the test presents. In order to develop those skills, you may need to slow way down in your verbal preparation, and analyze questions and answer choices until you clearly see the logic of questions. In other words, your preparation has to result in your clearly seeing what is going on in verbal questions. Certainly, if you’d like more specific advice on how to improve your verbal skills, feel free to reach back out. Hi Rajat, I do hope you appreciate that V30 is 58th percentile, while Q42 is 43rd percentile. So, you performed relatively better in Verbal, than you did in Quant. I am sorry to know that your score was not in line with your expectation. To know what went wrong on the test day, we would need your ESR. Have you purchased one? If yes, we can help you analyze it and suggest a way forward accordingly. In case you haven't, it would help if you can share a more about your preparation, mock test scores and experience in the days leading upto the test and then your GMAT test day experience. 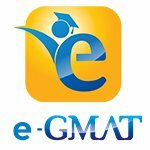 If you do not want to divulge all of this information here you can write to us at support@e-gmat.com referencing this post and we will be happy to help.